Today I am thrilled to share a Bible storybook with you. But not just any Bible storybook. This one includes devotions from Billy Graham! Billy Graham has brought the Good News of Christ to millions. I've heard countless people share of coming to Christ under Billy's teachings. It's no surprise that he now has a devotional for our little ones. 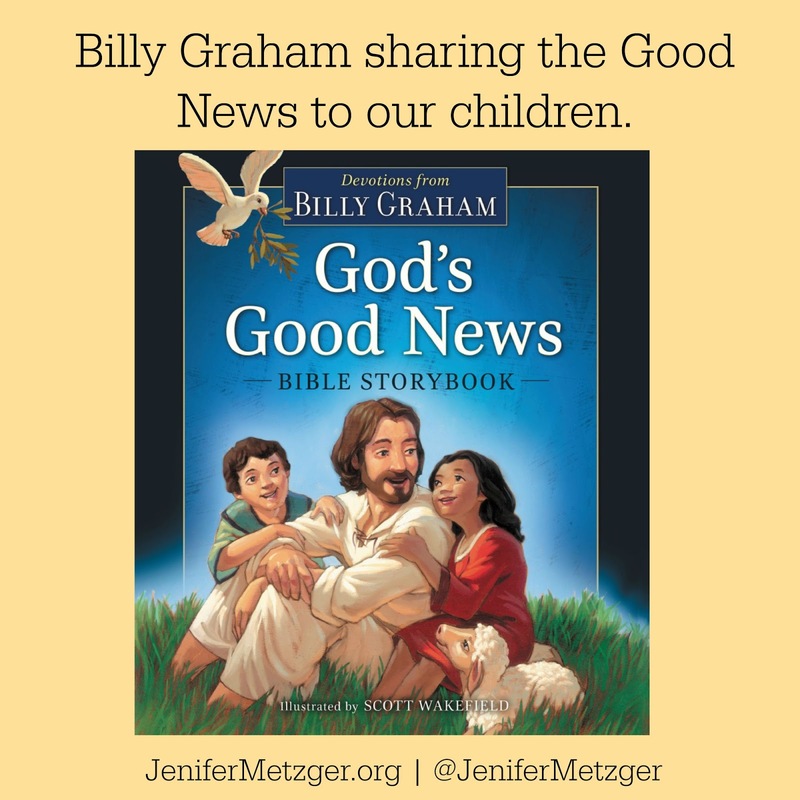 God's Good News has beautiful illustrations your child will love and includes over 60 Bible stories. This is a great book to share with your children and grandchildren. To enter to win God's Good News complete each task in the rafflecopter below.